Los Angeles and Southern California business leaders who want to grow their companies have two main options: growing internally (or “organically”) by increasing sales, or growing externally by acquiring another business. Organic growth is usually slow and steady, achieved over a number of years through disciplined sales, marketing and customer service efforts. An acquisition, on the other hand, may enable a company to achieve explosive growth very quickly — literally overnight. It may also enable companies to enter new markets (both geographic and customer segments) more efficiently. These are a few of the reasons why mergers and acquisitions are so popular among many business owners and CEOs. 1. Upfront preparation — This starts with understanding exactly why you want to buy a business in the first place. Once this is clear, you can set acquisition goals, looking for the types of candidates that leverage your strengths, and determine how you will finance the acquisition and grow the business once the acquisition is complete. Another critical part of preparation is assembling a top-notch team of M&A advisors who are experts in all the various disciplines of mergers and acquisitions. An M&A advisory team typically includes an investment banker, business broker, CPA/accountant, attorney who specializes in M&A (ideally within your specific industry) and, in some instances, an outsourced CFO services provider. 2. Searching for acquisition candidates — Start by narrowing down the types of business you might want to buy. For example, B2B or B2C? Retail, manufacturing, wholesale or service? Also, are you passionate about a particular industry or type of business you want to buy, or do you just want to find the right opportunity where the numbers work? When it comes to actually locating acquisition candidates, while not completely replacing business brokers, the Internet has become an integral tool in finding potential businesses to buy and connecting business buyers and sellers. Keep in mind that it can easily take from six to nine months or longer to find the right business. Exactly how long it takes depends on a number of different factors, including whether or not the kind of business you’re looking for is currently on the market. 3. Performing due diligence — M&A due diligence is more important today than ever. Your main goals are to make sure that any representations made by the seller are true and accurate, and that achieving the synergies you have identified in your planning and search efforts is realistic. In your M&A due diligence efforts, you should pay close attention to a number of areas, including earnings and cash flow, customer contracts, customer concentrations, accounts receivable, capital equipment, and the strength of the target company’s management team. Plan to dig deep into the target company’s financial statements to confirm any statements of financial fact the owner has made. And make sure you understand and agree with the assumptions that lie behind the financial projections. 4. Valuation of the target company — This can be a big stumbling block in the negotiation process because buyers and sellers often have different opinions about what a business is worth. The owner of a closely held business may have spent his or her entire life building the company, so there’s a level of emotional investment there that’s absent with the buyer, who is likely looking at the deal strictly from a numbers standpoint. As a result, both the buyer and seller sometimes tend to be unrealistic about a business’ true value. This is why having a professional business valuation performed is critical. A professional business valuator will use industry-approved valuation techniques to arrive at an objective value for the business. Sometimes, a buyer and seller will both pay to have their own valuations performed and then use these as a starting point for negotiations to try to arrive somewhere in the middle on a final purchase price. 5. Structuring the offer — Once a buyer and seller have come to agreement on a business’ value and purchase price, the final step is to structure the terms and conditions of the offer. These typically include such items as contingencies and earn-outs, what equipment will be included in the sale, training, a non-compete agreement, and a transfer period during which time the seller will remain involved to help with the transition. A minimum 30-day transition period is fairly common, or longer if the deal is more complex. 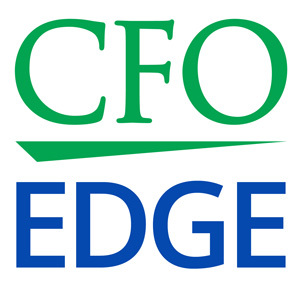 An outsourced CFO services provider can play a vital role as a member of your M&A advisory team. He or she can provide expert financial assistance and in-depth analysis of any potential deals, as well as help perform detailed financial due diligence. Perhaps most importantly, an outsourced CFO services provider can offer perspective and input from someone outside your firm, thus helping you view the transaction from a more objective point of view. Los Angeles and Southern California executives may be wondering whether an acquisition is the right growth strategy in today’s environment. Every situation is unique, so there’s no single answer that’s right for every company. An outsourced CFO services provider with a track record of proven expertise in M&A activity can help you weigh your options and devise the best growth strategy for your business.